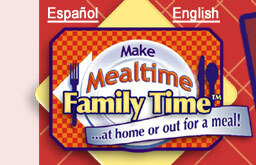 Making mealtime family time is a challenge for every busy family living in Southern Arizona. Research has discovered that one of the most effective strategies parents, grandparents, and other primary care-givers have for raising healthy, well-adjusted kids is to frequently eat meals together as a family. Five or more shared mealtimes each week means your children and teenagers are less likely to smoke, drink, and use drugs. 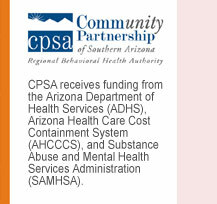 The STRIVE FOR FIVE CHALLENGE is a Southern Arizona project sponsored by Make Mealtime Family Time that challenges families with children living at home to eat five meals together a week for five weeks. A meal is considered any breakfast, lunch, or dinner that is eaten anywhere together in which family mealtime conversation is added to the menu. Don’t get too busy to neglect share mealtimes, one of the most important strategies you have as a parent to strengthen your family. Sign up now and receive free weekly fun family conversation starters and activities for five weeks. Sign up is easy. 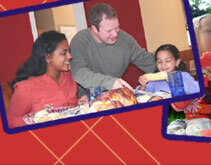 Submit your e-mail address and receive five weeks of family mealtime conversation starters and activities free. Your e-mail address is safe with us. We will send you activities along with an easy-to-do follow-up survey. KID: How do you think you could help your teachers at school be successful? If your family had the opportunity to invent a new breakfast food, what would it be like? What would you call it? Who would like it the most, kids or parents? PARENT: What did you like most about your growing up years? What did you like the least? Why do you think some kids find drugs like marijuana so appealing? Why do you think helping others is so important to your own success? Would you rather be stuck for a day in the cold of Antarctica or the heat of the Sahara desert? What do you think it means to be a life-long learner? What are the rules in your family? What is your least favorite rule? What rule helps your family the most? If you could adopt a famous person into your family, either living or dead, who would it be? 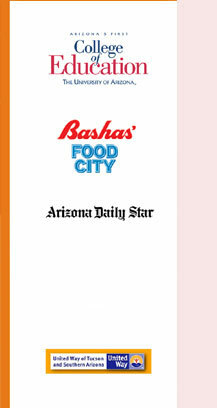 Making mealtime family time is a challenge for every busy family living in Southern Arizona. Research has discovered that one of the most effective strategies parents, grandparents, and other primary care-givers have for raising healthy, well-adjusted kids is to frequently eat meals together as a family.If you are too busy to eat five meals (breakfast, lunch, or dinner) together with your family (spouse, significant other, and children) each week, then you are too busy! In our fast paced world meals with those we care about often are skipped due to what we may think are more important obligations. But wait, meals together are important. Even if you live alone you can eat three meals with friends or family members. The key is to be creative. Don’t always think dinner--a meal is a meal no matter what time of the day. So get up a little earlier and have breakfast together, or plan a late night snack. The important thing is to spend time together with those you love as you share a meal and conversation together.